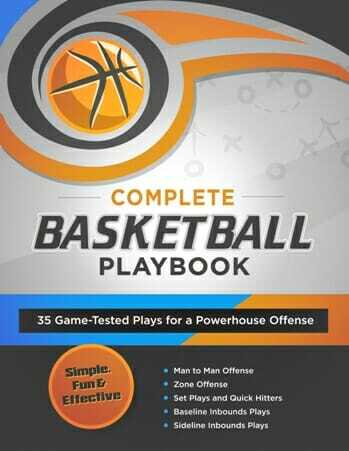 This post is ideal for you to read if you’re planning on doing some defensive drills during your next basketball practice. And if you’re not–well, print it out for a rainy day! This drill is called the defending the dribble for eight seconds drill. The offensive player’s goals here is to take the ball as hard as he can to the basket. We don’t give any fool’s gold. Fool’s gold means is if we’re working at the defensive end and the offense just goes half-speed making the defense look good, that’s fool’s gold. We don’t want to get a false sense of security of doing something right if our teammates aren’t pushing as hard. You’ll see the offense win some of these battles, but what we’re trying to do is defend the dribble for eight seconds. If the offensive player gets through there, instead of shooting it, he takes it back out again and comes back and attacks him again. So for about a period of eight seconds, we’re playing pretty tenacious at the defensive end. You want to see a great battle of offensive talent and defensive talent. With this drill and others like it, we put an emphasis on is defense. If we play defense, then we’re going to be in every game. But defense has to be played by all five that are on the court – five or six or eight more, depending on your team’s size – ready to come in and pick up the same effort. Basically if you’ve got heart and if you’re being taught technique, then you should be able to do a good job. And the old rule still applies: Stay between your man and the basket. We tell our players that’s why old slogans stay around, because they’re very true. Our goals again: stop penetration, challenge the shot, and screen out so that we give up no second shots. Those are our three components at the defensive end. Our next defensive segment starts with the ball and going hard, like the eight-second drill–except we’re going to stay in the four quadrants. This drill is called half court-half court because we have to stay within the half-court setting and half of the half-court width-wise so that we’re not running into one another. 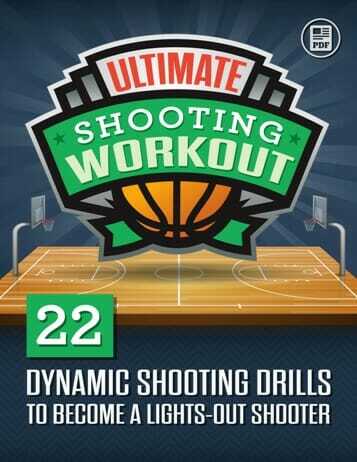 It’s an old drill that usually is done half-court, full court. We like the intensity that it puts in by going 47 feet. Both sides will be going at the same time, partnered up. On the way back, they’ll just change assignments; one will be the offensive player, the other one’ll be the defensive player. You’ll see in this drill that they have to get out of their shuffle step. They’ll need to run from time to time to regain that position of staying between them and where they’re going to. One of the things we try to do in these drills is always get back to a stance where we have our shoulders square. Whether it’s being picked up at the wing position or initiating the offense from the point guard position, we just don’t want them to take penetration. We want them to go southeast, southwest, but not directly south to the basket. This drill is one-on-one from the wing position. This type of drill is where we teach a lot of technique, again, keeping them between our man and the basket as well as when the offensive player goes to shoot the shot, challenging the shot. And then once the shot has been taken, to screen him out the correct way. There’s a correct hand for challenging the shot. That same hand will be the correct hand for shooting it through to screen the person out. And every person does this all the way through. So there’s a thread that runs through as our theme, through each person–that they all play defense the same way, with the same intensity, and with the same technique that’s taught. Usually in this, we would have both sides going at the same time. The reason we challenge with either hand is because it’s the closest hand to the ball. So once again now, we’re preparing ourselves to guard a person with the ball in a game situation. And it’s one-on-one, where you’re just completely open to get beat by the offensive player. But if you just stick to technique, the cushion from which you distance yourself on the offensive player, then you should always be able to stay between him and the basket. 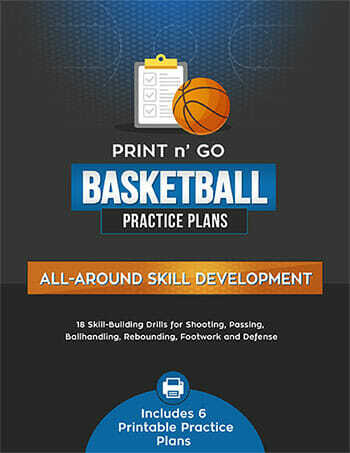 Do you think your team will benefit from running these defensive drills during your next basketball practice? Share your thoughts in the comments section below!